About "Applying properties of integer exponents"
We can apply the following properties of integer exponents to simplify expressions with powers. Apply the rule for negative exponents and add. 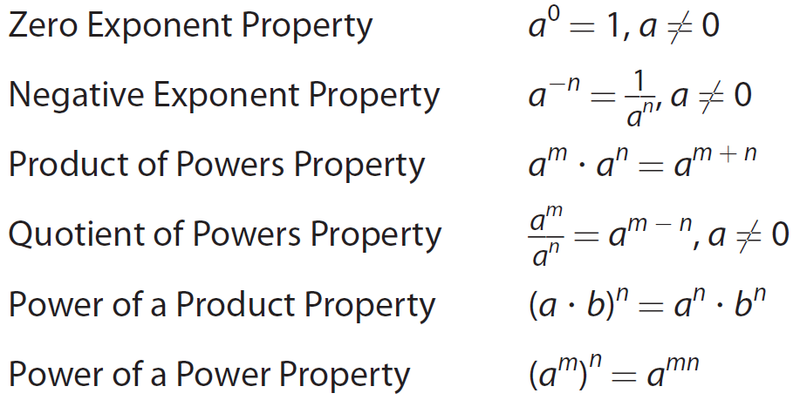 Use quotient of powers property. Apply the rule for negative exponents and simplify.